It took my heart away once more when i traveled there in November 2014. 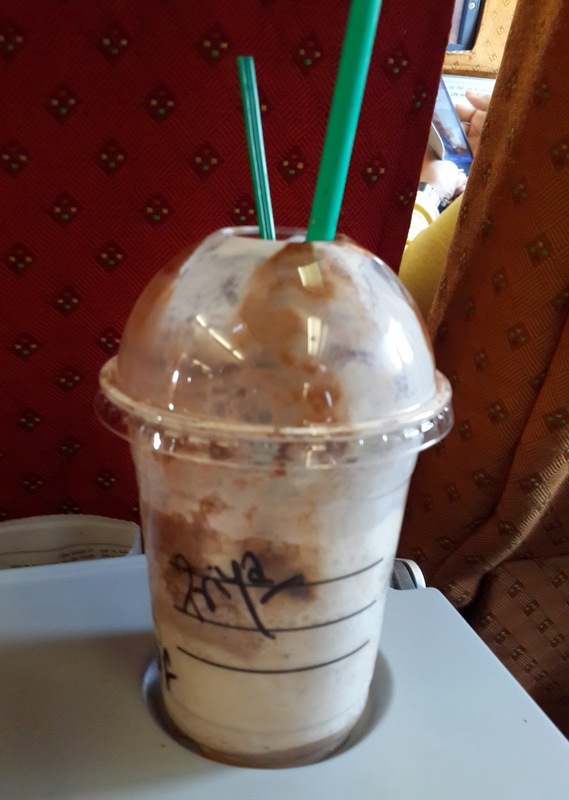 It had been a while since i went there and i know i had to take a trip down to Mumbai. 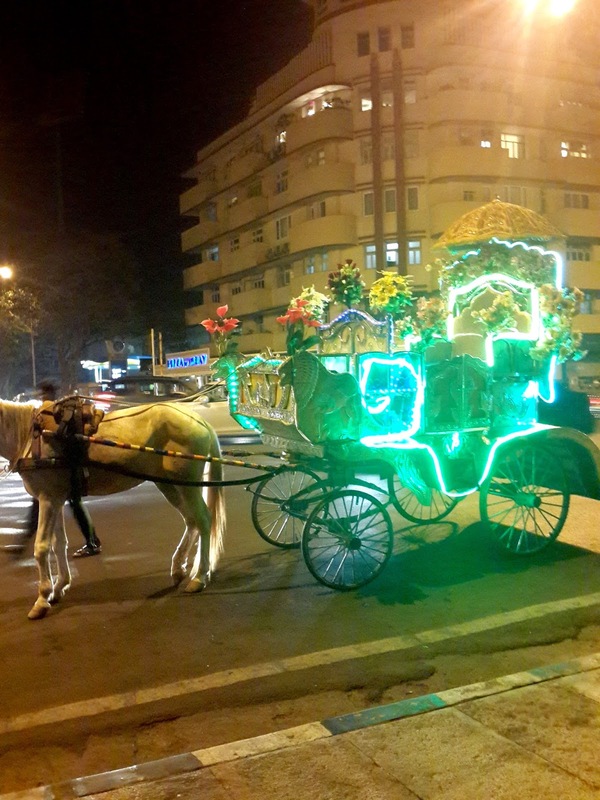 This time i wanted to go there just after the Diwali festivities unlike Summers how i usually used to go. I have some relatives there so i just planned and booked my tickets without deciding my itinerary. 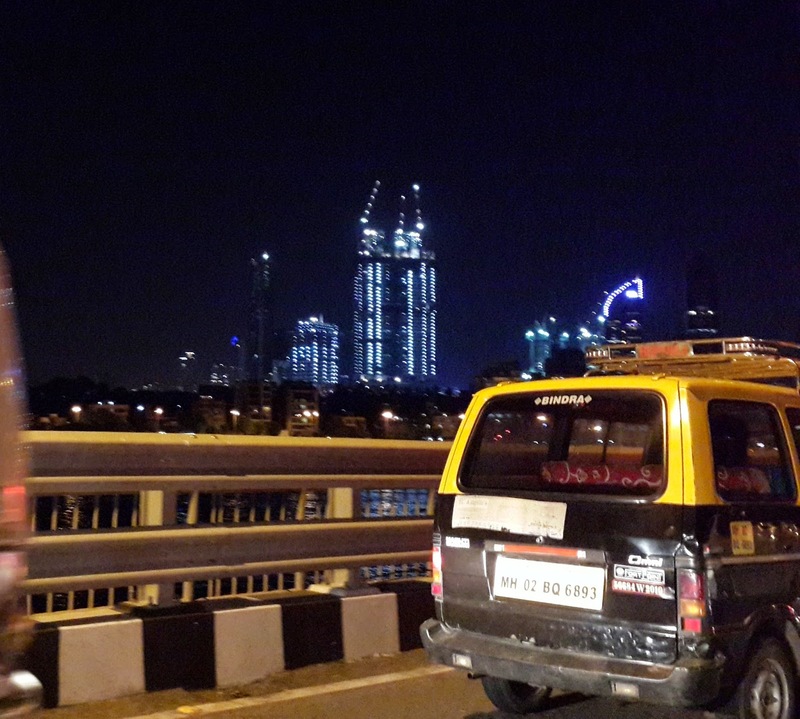 I reached Mumbai on 29th night, it was hot! 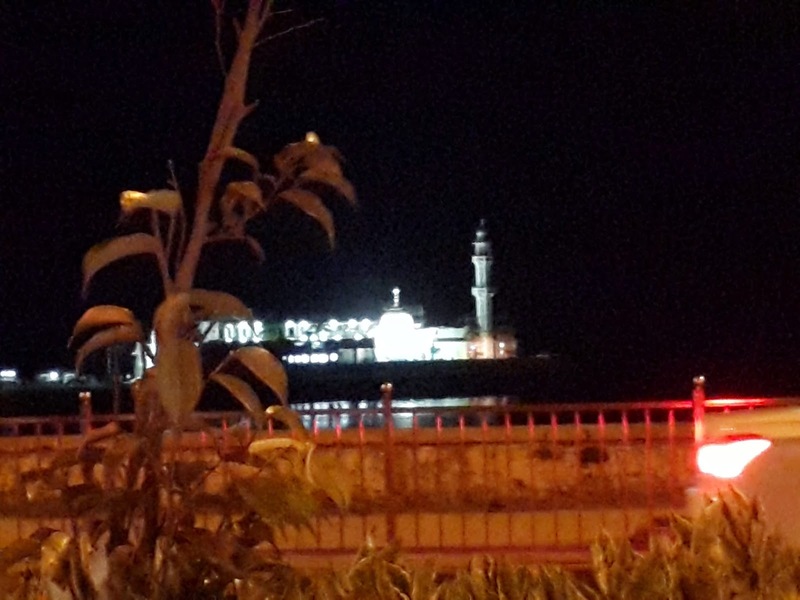 Unlike how Delhi weather starts to change after Diwali, it was very hot but that dint bother me as i knew i reached one of my most favorite cities in India.I had an amazing feeling while crossing the SEA LINK,i captured the moments,also the night view of Haji Ali from my car. It was 30th morning.I got up early to greet my relatives and decided to laze a bit later due to a hectic night before due to packing and travelling. 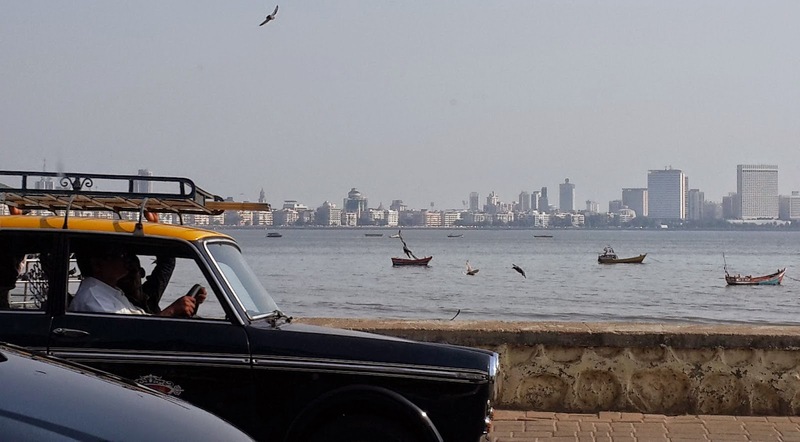 I had planned that i wanted to go to the Suburbs of MUMBAI so i decided to Head to Bandra (Linking Road) which is known to be a shoppers paradise for street shopping. 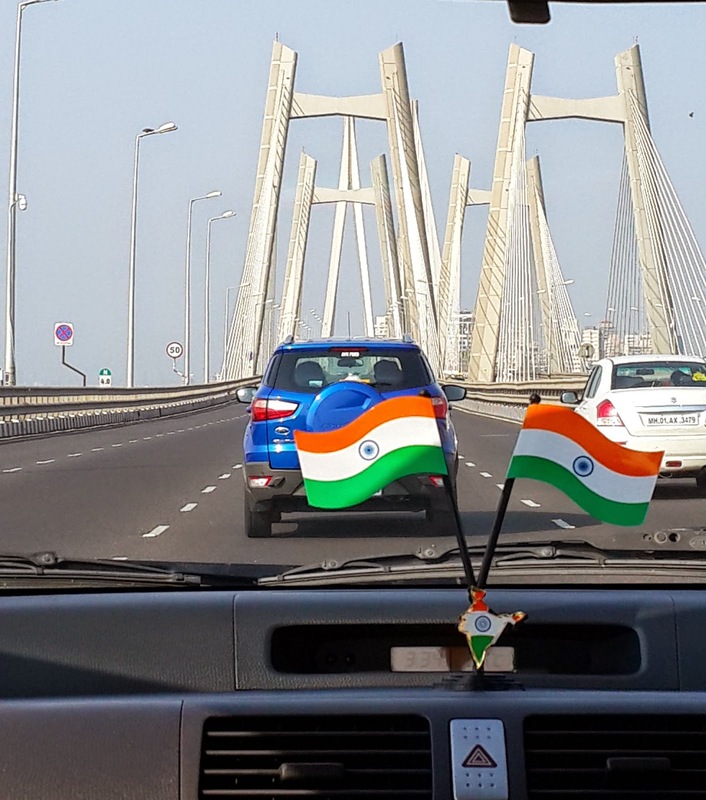 Its like Sarojini of Delhi :) You get such amazing feeling when you travel across mumbai from south bombay to worli to getting on to the beautiful SEA-LINK. You just fall in love with this drive and can't seem to get enough of it. I went shopping krazzy at bandra but due to shortage of time i decided to proceed further to see Dharma's office (being the bollywood fanatic that i am). This time i had decided to visit the two beautiful temples of Mumbai The "SiddhiVinayak Temple" and the "Mahalaxami Temple",which i had not seen since my childhood, so i went ahead to visit it on the 1st Day of the November month itself..which was my DAY3 of Mumbai. 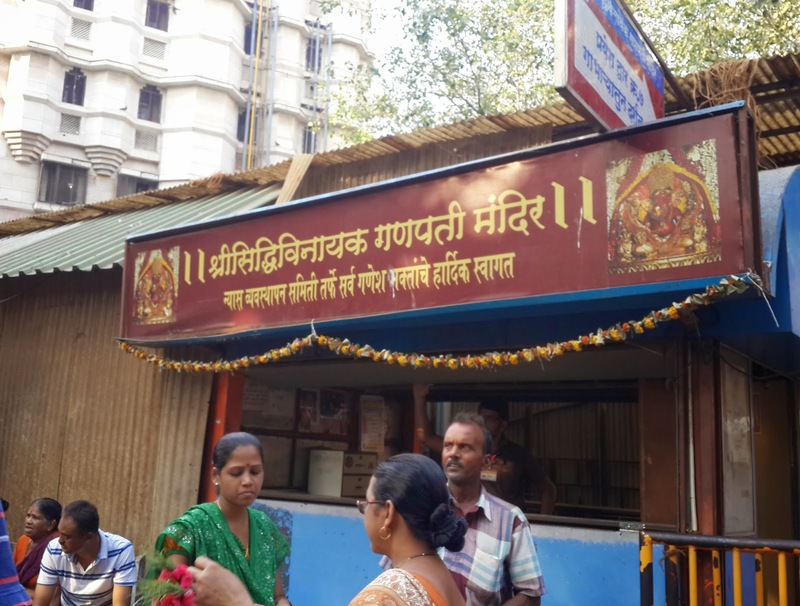 I headed to prabhadevi where Siddhivinayak is and as we all know has huge queues of devotees coming to the temple all times of the year so as excited as i was, i had to be patient for the darshan. 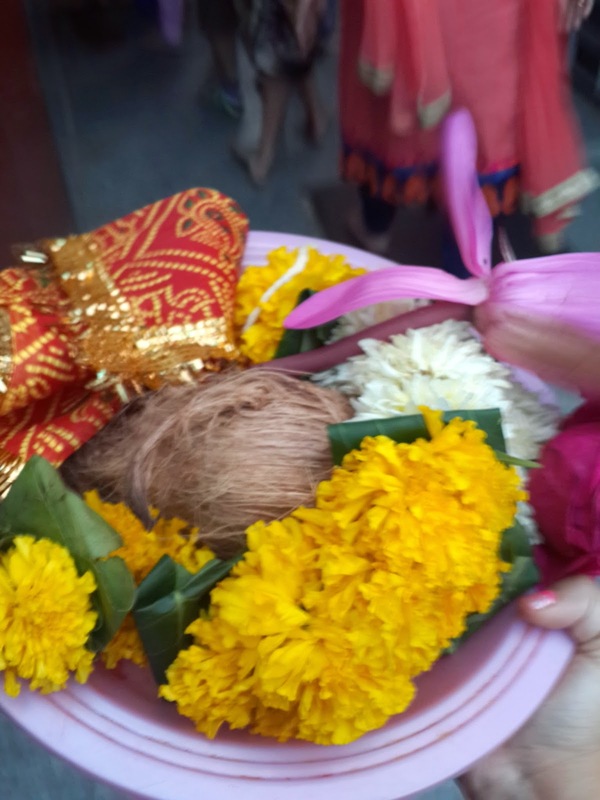 But being a huge devotee to Ganpati i waited patiently for my turn for the darshan. It was indeed WORTH THE WAIT. 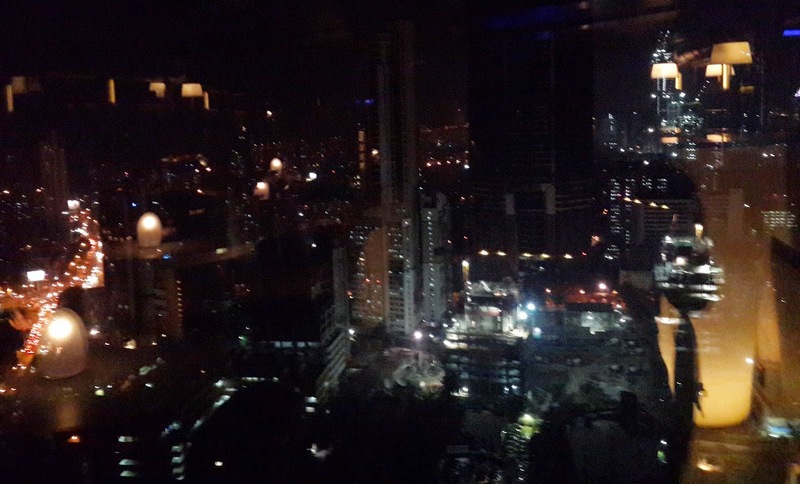 It was a saturday and i had to see the mumbai nightlife..i told one of my elder cousin sisters to take me around to have mumbai food and to a mumbai lounge. 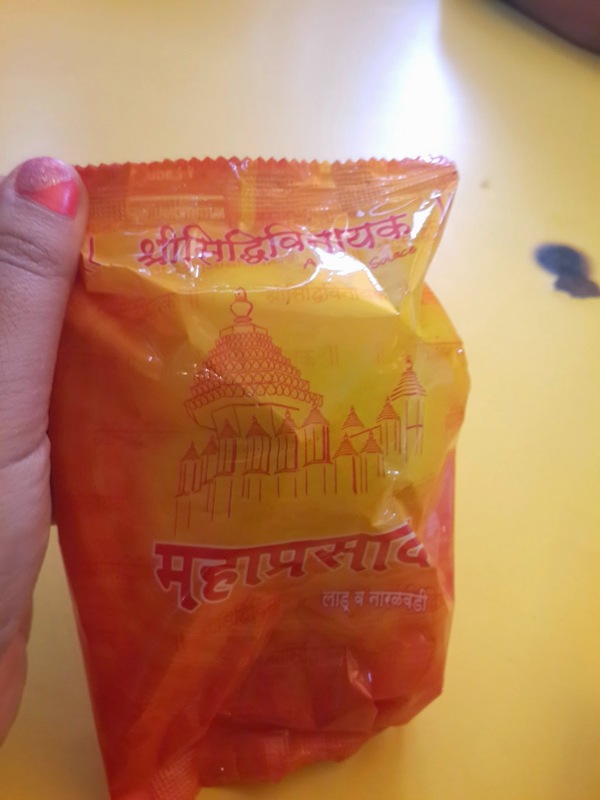 My uncle and aunt were going to Club NSCI in worli so they decided to drop me off to swati snacks where i was supposed to meet my cousin. 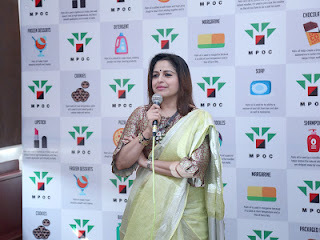 I was elated to meet her and as famous as Swati snacks is..we got a waiting. the yellow is obviously the mumbai roads. 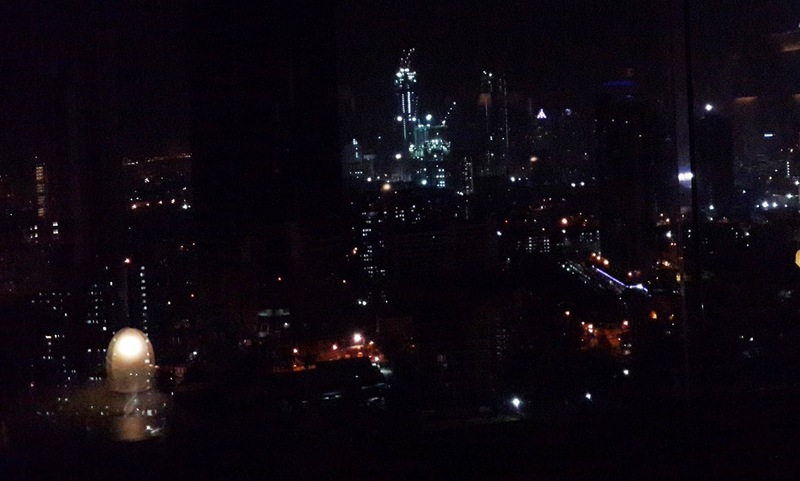 My Phone camera couldn't do justice to what i was watching in front of my eyes. 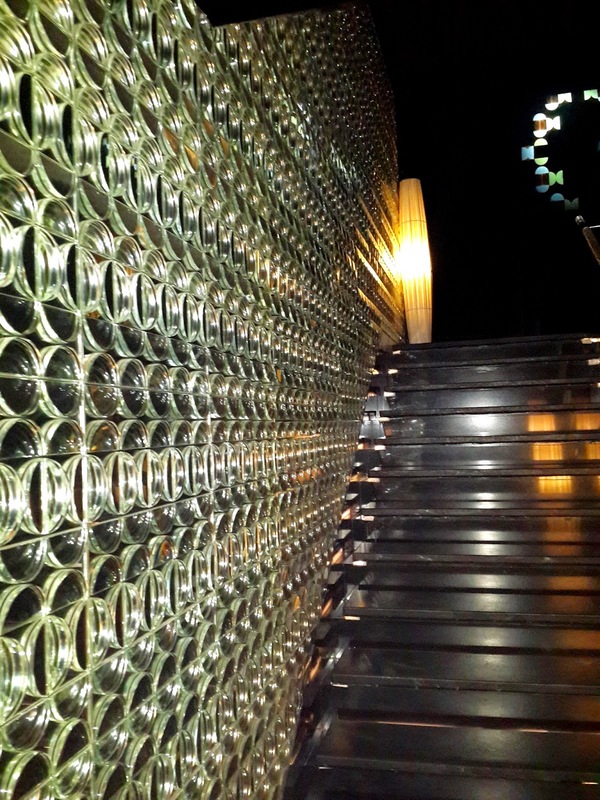 After Enjoying this place we still wanted to go to a different place..as the night was still young and you knew we were in MUMBAI ;) so we headed to Palladium Hotel, XO club as i had heard a lot about this place so i definitely wanted to check it out! As we reached there, i noticed suddenly the whole of elite mumbai crowd had lined up in a hugeee queue.It was Insane! The girls never had the fear as delhi girls do, that how would we go back as mumbai transport is much safer and available even till wee hours! But i had no worry as i had my cousins dropping me back. So we after our turn came we had to pay a hugee entry..yes because it was a sat night ;) so we finally went up..we chilled for sometime..it was buzzing with crowd and thats when we decided to head back finally coz we were finally drained out. It was a Monday and i had to go for a meeting to one of the companies in Andheri west so i headed straight there.It takes us an hour to reach Andheri in North mumbai from churchgate in south mumbai plus if there is traffic then maybe much more! 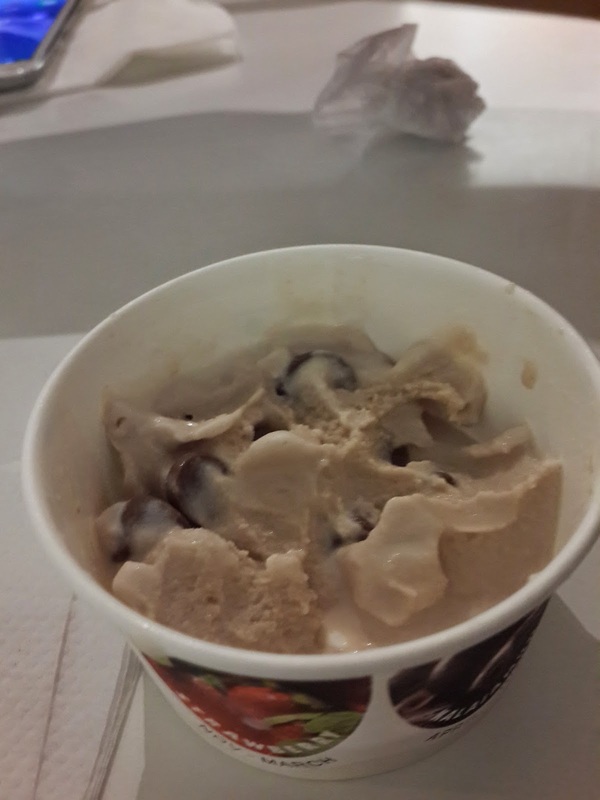 :PAfter my work i just went to see the Infinity Mall Andheri which was near to the company i went in and Enjoyed my frankie at Tibbs frankie in the food court :) Also my Naturals icecream. 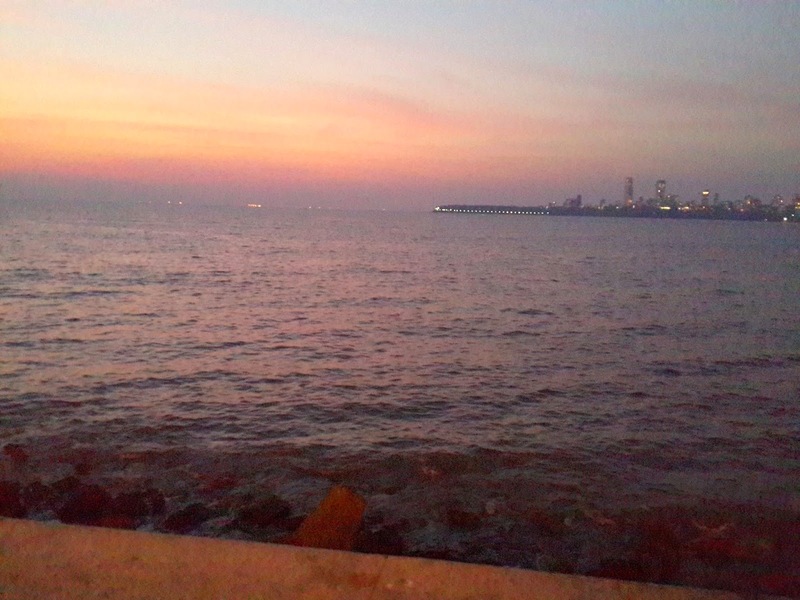 By the time i headed back to marine drive,it was already dinner time so i decided to have dinner at SUKH SAGAR with 2 friends at a very famous indian restaurant chain in Mumbai which has variety from north indian to south indian to the indian chinese. I enjoyed a yummy masala dosa from there. Then we craved a dessert so i took them to my childhood eating joint called NewYorker which is just at F road Marine Drive.. We went there and enjoyed the very famous Sizzling brownie from there.. Why is it so famous if you want to know is because its one of the few places in India to first introduce the Sizzling brownie :D YUM! Finally it was time for a Movie in MUMBAI..Being in bombay or mumbai and if you don't catch up a movie in the amazing theatres here doesn't feel allright! My aunt decided to go for GONE GIRL with her friends (no if you're wondering its bollywood..let me clear it its a hollywood flick :P) but being the movie buff that i am i agreed to join them. I would rate that restaurant 3/5 as the food was okayish. to stay with them for 2 days..
After all the photosession here and on the beautiful mumbai rocks just in front of srks house we went ahead for lunch at Zaffran Bandra to have yummylicious Indian. Loved it. After the food me and my cousin went to Hill road..a very famous place in mumbai for street shopping again,but due to unavailability of parking there we had to rush back from there in 20 minutes. 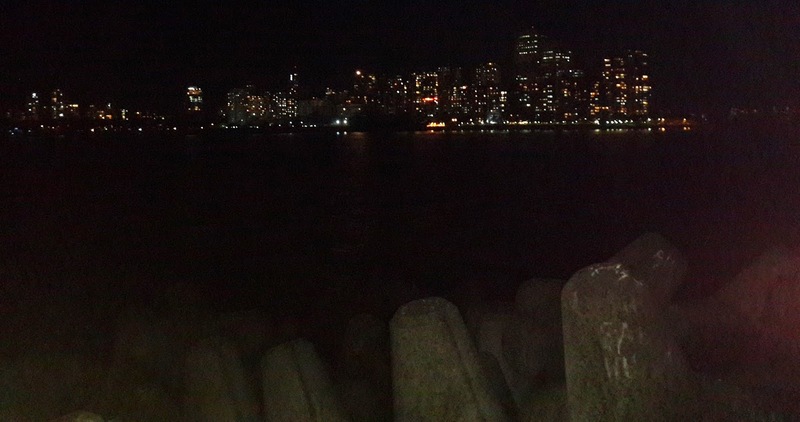 Then finally to complete my day i went to JUHU BEACH mumbai. 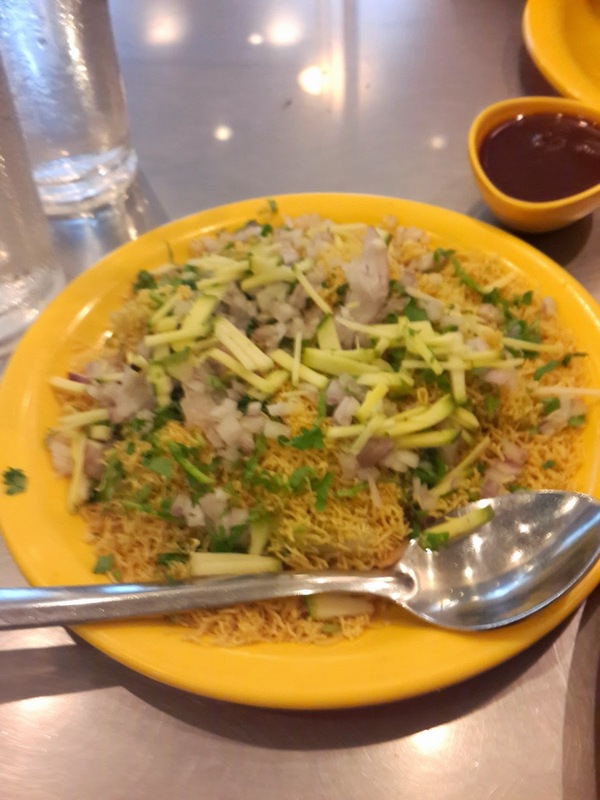 coz being in mumbai i din't want to miss the beach :D We had kala khatta gola and the sevpuri at juhu beach chaat centre. 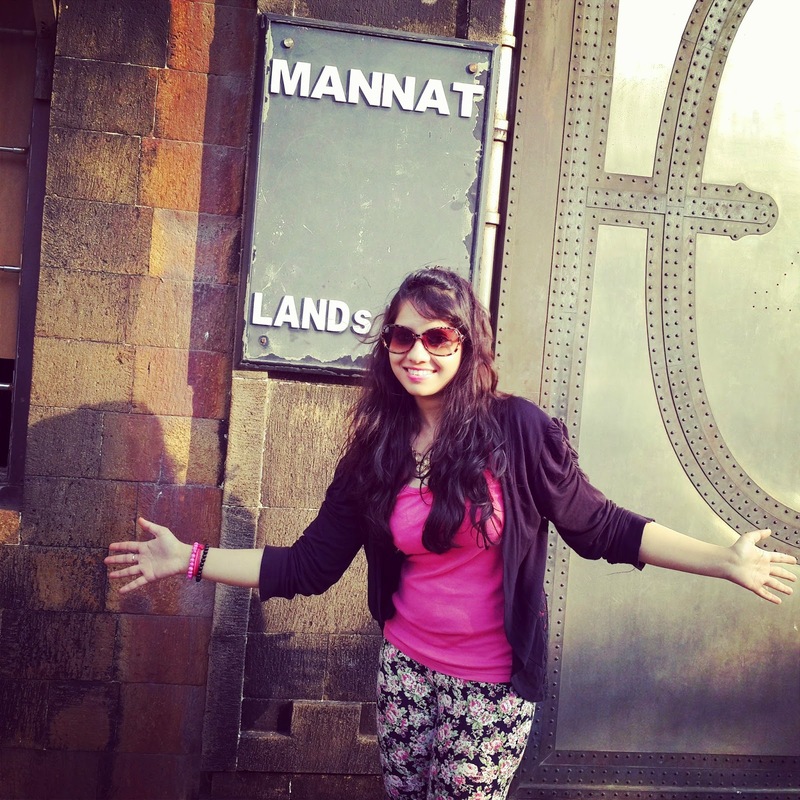 It was a surreal day as i saw mannat but had a great time! If you have to visit one of the most amazing 5 stars of Mumbai where you can spot celebrities dining or chilling, then you have to visit the J.W. 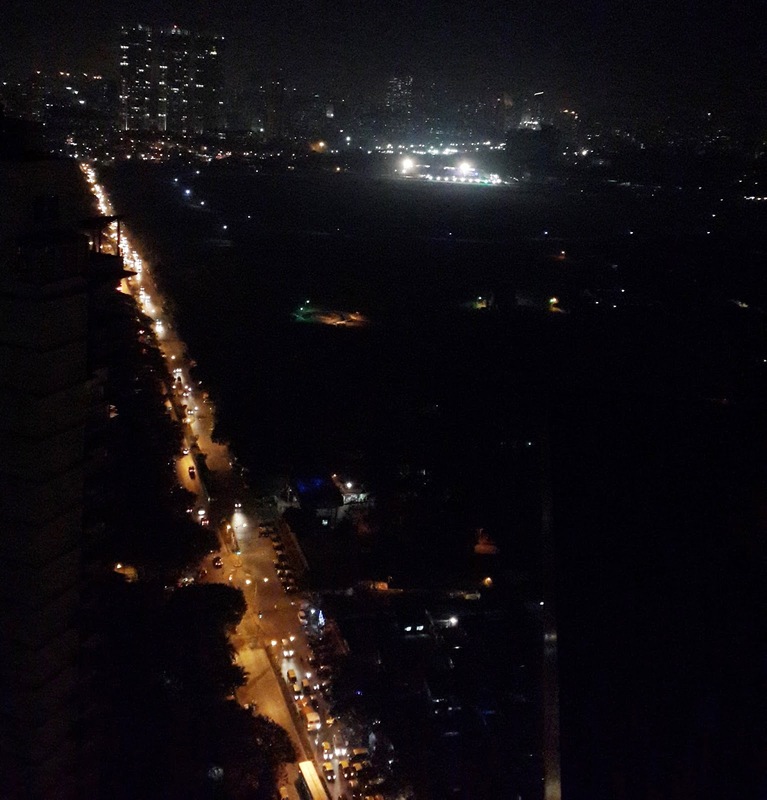 Marriott situated on Juhu Tara road. 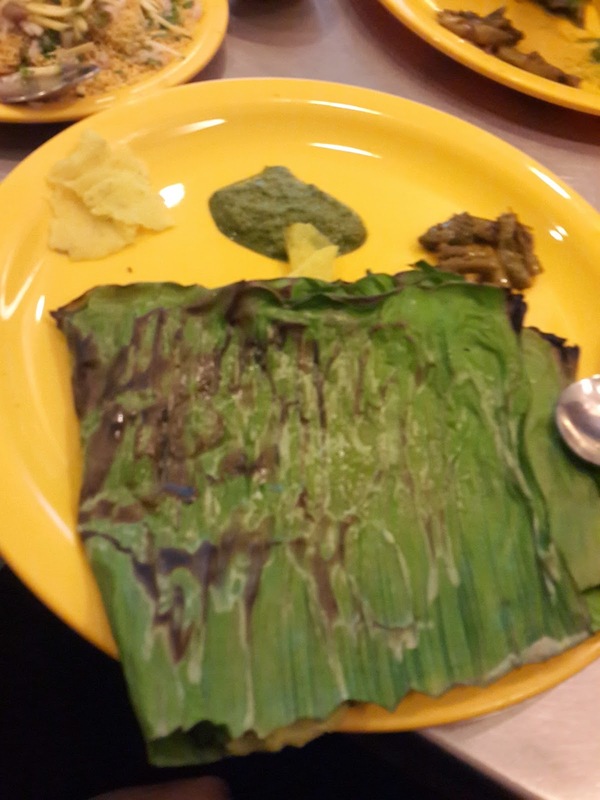 You have to try Saffron for yummiest North Indian and Mezzo Mezzo for Italian..And if you want to try good club sandwiches go to Lotus cafe in J.W.Marriot,you get all kinds of cuisines there.Enjoy! I also happen to cross “Prateeksha” which was the original bungalow where Amitabh Bachchan sir lived with his parents and family. There is also his other home Jalsa.Its located opposite Tulip Star Hotel (Juhu), “Jalsa” bungalow is where the Bachchan family currently lives. 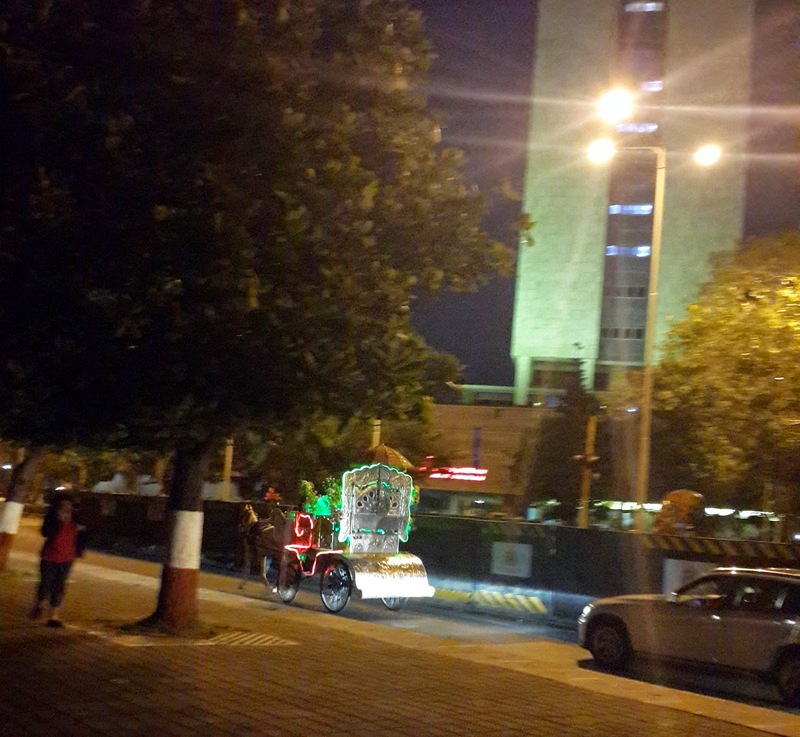 Then it was time for me to head to the office of Balaji telefilms in Andheri where my friend works. and just opposite its office is THE Yashraj productions Office ..so i just happened to have a fanstruck moment there itself as i couldn't really go inside the office to see it. Cafe mondegar has got a cool ambiance but i would rate the food okayish coz we ordered white sauce pasta which wasn't very great and its a turnoff when even after being told they are not able to adjust the food according to your liking. P.S. learn the art of bargain ;) to enjoy it fully! So after a total Amazing day it was Time for Dinner and i decided to try this amazing place for Mexican called Sanchos which my aunt told me to try with my cousin. So we went there and enjoyed nachos which came with salad and salsa dressing and the baked potatoes with vegetable filling. Although if i have to compare it with Chillies (Delhi) i would rate chillies much higher! Day 12It was finally the day when i had to head back to Delhi. 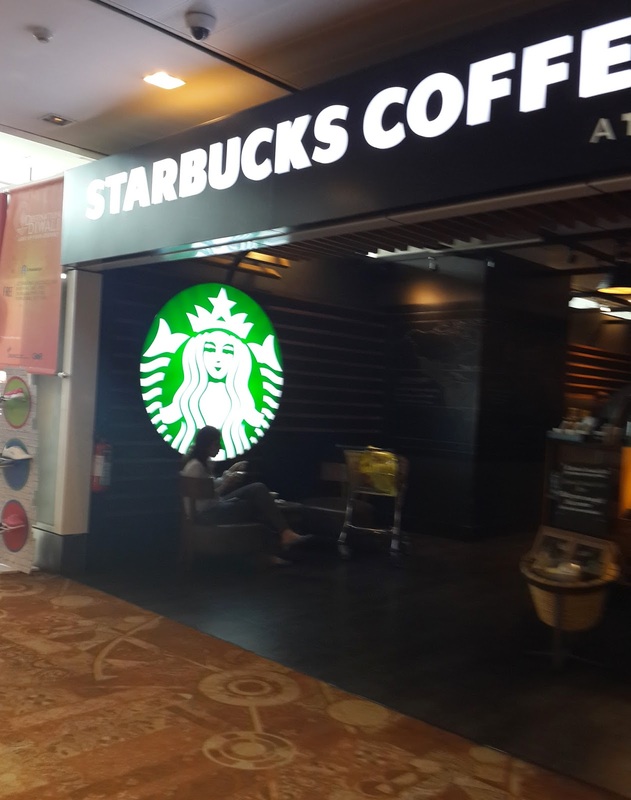 I had a jet airways flight and i finally came back to my DELHI! P.S If you happen to be reading this full post then i want to thank you and want to say i love you already for being so loyal to my piece of writing. Also i would request you to click the +1 button on the right of my page to recommend my to your friends ,also share on FB and twitter with them.To keep yourself posted on my articles and great lifestyle suggestions please subscribe through email. That is also to the right of my page. 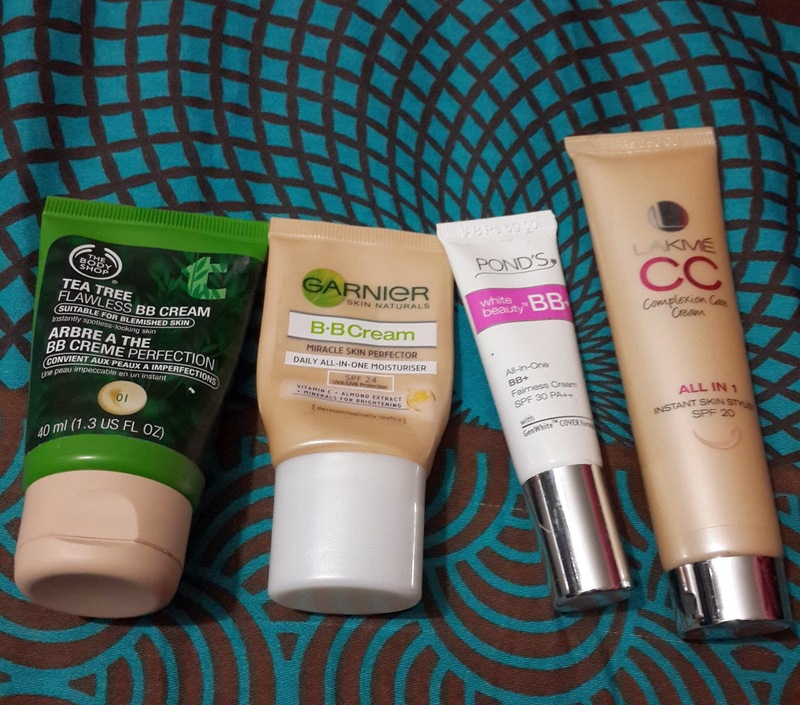 Garnier All in one miracle perfector BB cream .This one is a great budget option fot the Dry skin tone beauties but people woth either normal to oily skin can also easily use it during winters. IT gives medium to light coverage and adds a glow,we would all love to have on our skin.Also it beautifully evens out the skin tone making the face look dewy which is good for both dry and normal skin tones. It has SPF 24 and very reasonably priced Rs 99 for 18 g, Rs 199 for 40 g.
It doesnot have hydration qualities so its good for the Normal to Oily skin tones. It comes with SPF 30 which is very good for the skin. It also comes in two sizes one Rs 69/- for 9 grms and Rs 125/- for 18 grms. It gives good coverage and complements your skin tone making it totally flawless just like its name. It comes in 3 shades depending which color complements your skin tone and accordingly you can buy it. This is perfect for people with oily skin as it leaves the skin matte so people with normal to dry skin can apply with a moisturizer underneath. It is my perfect party go to bb cream coz it adds a glow to my face and not only the coverage but it also heals your skin bcoz of the healing TeaTree ingredient,which is using to prevent acne. So i took my hands on the CC cream and thinking that it might have moisturizer plus the tint i tried it but to my dissatisfaction it wasn't so perfect until next time i tried with a moisturizer and then dotting it across and applying it. It has a very tangy smell same as the lakme sunscreen,i guess the same sunscreen has been added to the cc cream.But if you ignore the scent.Its a good product but if i have to compare it with the ponds bb cream then that does a better job! 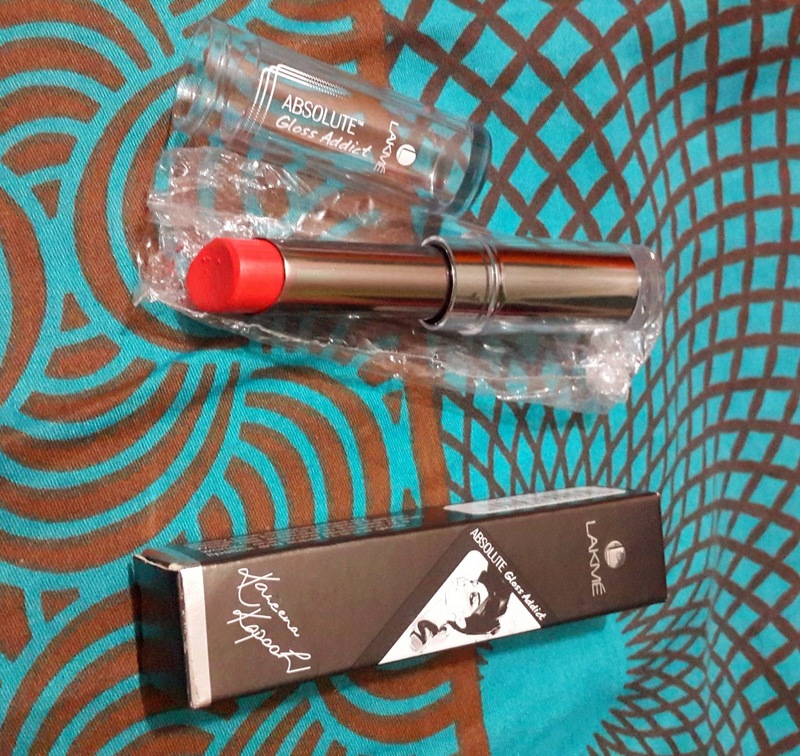 This is for medium coverage and is for Rs250 in one size packaging. So my beauties do let me know in comments below which ones have you tried and liked.Would appreciate your views on it too. When you are out for your perfect lipstick lookout and when your looking to wear a lipstick for a perfect occassion or a party to just shine on, you have to try this product from Lakme Absolute Gloss addict range from the shade Coral pink. I am sure most of us love the coral colors in our lipstick range and i was hoping to find one which would give me a nice pretty coral color and which could go with most my party outfits plus doesn't give my lipstick a matte finish like when you shop for reds,you look for more mattes. So this salesgirl showed me many colors which were nice but dint catch much of my attention. This product not only gives a dark coral color but its more like a reddish coral which makes it perfect for evening or day wear as it has a shine of a gloss in it. It gives your lips that nourishment you need unlike the lipstick which makes your lips chapped or dry and you feel like touching them up with a lipbalm or gloss. Voila! its the perfect mix of color and shine. P.S. it looks subtle red in pictures so people always ask you which red are you wearing and from what brand. Thanks, Lakme gloss addict for keeping me and all my divas out there addicted with this.